Another eventful six months have passed since my last post…. I spent a joyful few weeks in Rishikesh in December teaching an advanced training with one of my dearest friends Jennilee Toner. Rishikesh never fails to stun me with her otherworldly beauty and the force and energy of the sacred Goddess Ganga rushing through the town in her luminous green gown. After the retreat in Rishikesh, I went traveling through Rajhastan, with my lovely niece Mary and our dear friend Kate. This is a trip I have always wanted to do and it didn’t disappoint. We visited the very busy cities of Jaipur and Jodhpur with their massive and mind-boggling fortresses. We also went to Jaiselmer, which we loved the most, being more remote, with less traffic and pollution. We loved the hotel we stayed at inside the fort with it’s stunning views over the town and fortress. Whilst there I discovered that the hotel was owned by an old friend of mine, Luca Borelli, and we were able to get back in touch, thanks to six degrees, or less, of separation and the inconceivable God of technology. We spent one very disappointing and ironic night in the desert, which fell far short of my whimsical imaginings, but was the cause of a lot of laughter(mostly afterwards)! We went camel riding, which theoretically could have been quite romantic, had there not been two thousand Indians on holiday riding camels alongside us, in what seemed like an Indian version of a disney theme park! After much effort, we mananged to get our camels led off a bit further so we could take a photo with no other camels in the background. This took a bit of bribery, but in the end we got the photo we wanted as a Christmas card, so all was not lost. Back at Suryalila I went straight into a Yoga Teachers Training with a virulent dose of flu and it took me several weeks to purge the pollution of Indian cities from my lungs. The training was quickly followed by a Vedanta Seminar, masterfully taught by my dear teacher James Swartz. 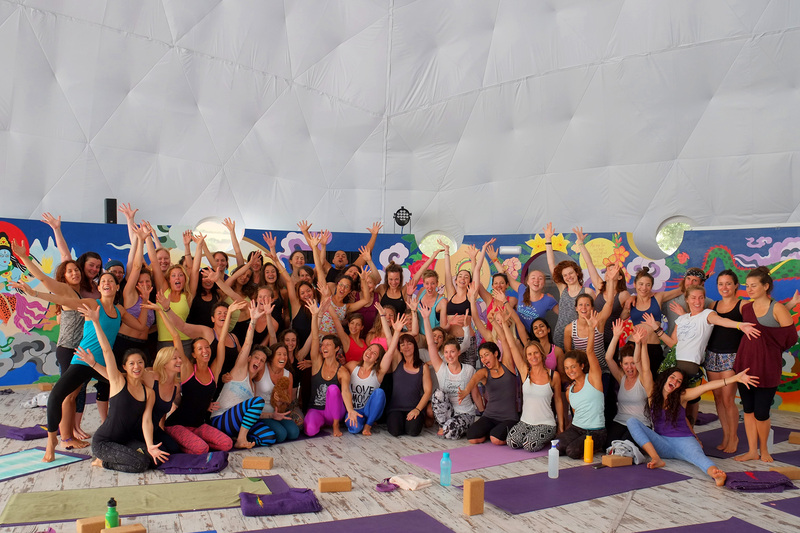 The centre was completely full and overflowing and everyone had a truly wonderful and enlightening time. After the retreat James stayed on at Suryalila for three weeks and there was a period of 10 days during which we had a private satsang every night with around 10 of us, mostly staff, in my house. This was an undreamed of blessing for us and I feel so much enduring gratitude to existence for gracing us with such a precious gift. And then another 200 hour YTT happened and then another of my Vedanta teachers came. His name is Arlindo and he is a student of James also. Arlindo was teaching the Bhagavad Gita, which ended up being very fortunate for me, as I was also teaching the Gita on an Advanced training Module the week right after. Amazing synchronicity. Suryalila has a busy late Spring and Summer ahead with Tiffany Cruikshank and Donna Farhi among other great teachers, due to come in May. Whilst I was away in the winter, we completed a renovation of Casa Ananda, the tower house. I think this was a very good move as we were able to create a large luxurious suite at the front of the building, and a really lovely double room with en suite bathroom at the back. We also built a mezzanine up in the tower, with a hang-out area for relaxing and enjoying the beautiful view. The pool was also refurbished nicely, with some lovely Moroccan tiles. In the near future we plan to complete the living roofs on the eco casas and also on the Moon Shala and to also build some wooden massage cabinas on the land. There have been quite a few changes of personel this year, with Alice, our dear Bookings Manager leaving to go traveling, and Harry, Mirella and Leela, who have been an essential part of Suryalila from the beginning, leaving to move back to Holland, so Leela can attend a good school. This was sad but unavoidable, as we were unable to find the right type of school for Leela locally. Mirella and Leela have settled in a small town just outside of Utrecht and so far they are really enjoying the big move. Meanwhile Harry is busy training our old friend Mario in the role of Guest Services Manager, in his place. Whilst I am super sad to lose Harry, and will miss him a lot, I am excited to welcome Mario on board. Mario is very personable and I think he is the perfect person to fill Harry’s shoes. We replaced Alice with Erin in February. Erin lives locally and is marrying a local in August. She is settling in well and doing a great job in her new role. One of our favorite chefs, Caroline, returned from a six month sabbatical, with new energy and ideas. 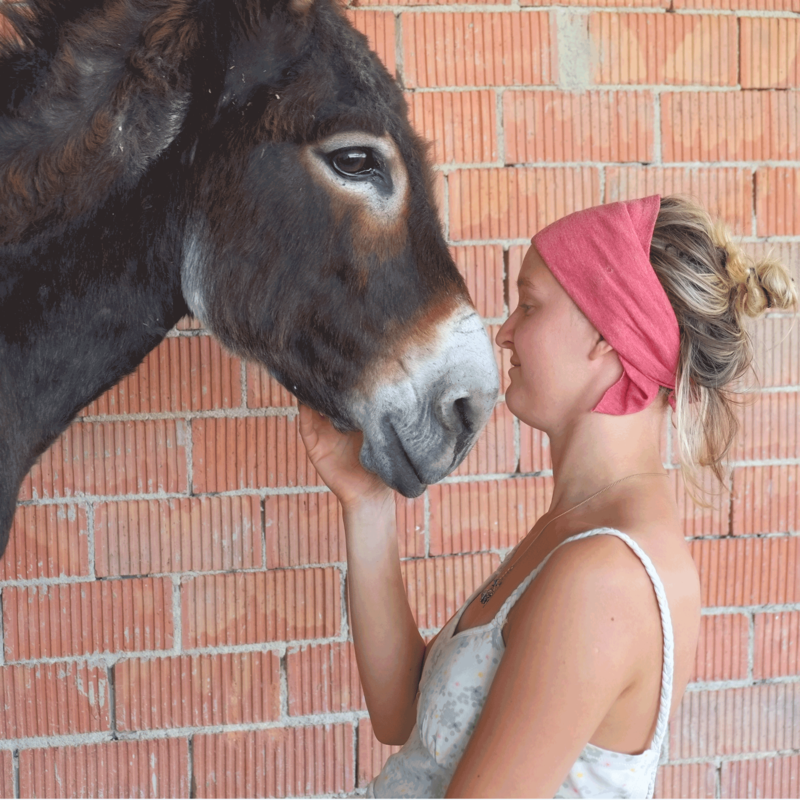 Since we got back from India, Kate Finn has been living and working at Suryalila, as our new onsite Yoga teacher. She is also offering private Yoga sessions to our guests, which is a new and important offering. We have added a couple of sheep to our small zoo of alpacas, goats, donkeys, cats, dogs and chickens. Along with our new chicken lawn-mower, they are being put to work by Danyadara to mow the fields. The month of March was unusually and thankfully very wet. It pretty much rained every single day! We had serious puddles everywhere and the landscape flourished. Add a lot of warmth and sunshine in April and the meadows are awash with flowers and as verdant as Ireland. 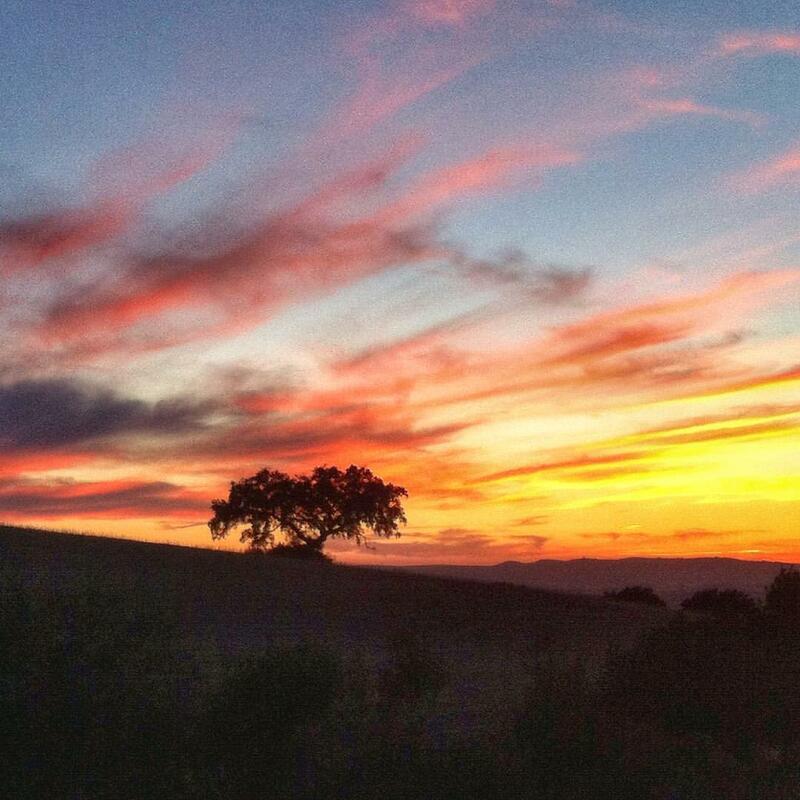 Springtime at Suryalila is truly heaven on Earth. I am so grateful and blessed to be here and look forward to the rest of Spring and early summer as things begin to slowly and surely heat up. I did a few online interviews recently with Kat Farrants of Movement for Modern Life, the first about Living a Yogic Lifestyle, and the second one was about what we can do personally to save the planet. 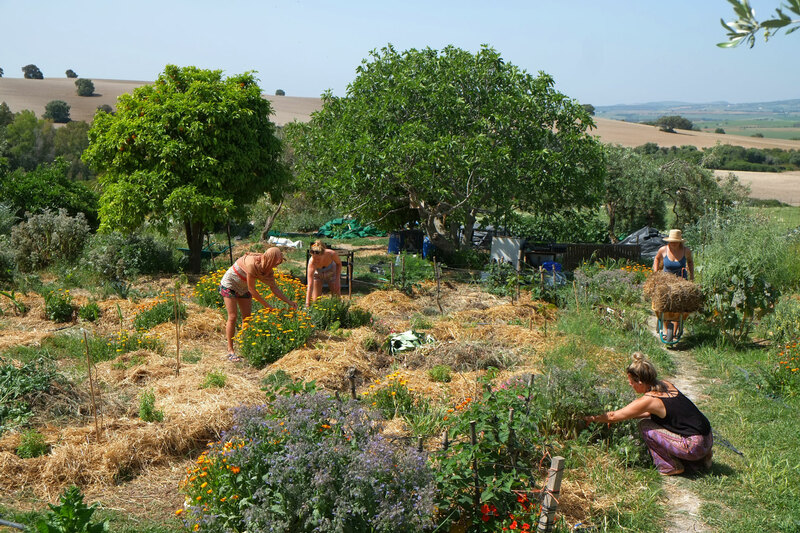 Danyadara has exciting plans afoot, with our very own permaculture courses about to start, led by our very own intrepid Jacob Evans, our farm manager. The first four month course will begin in September with 6 participants. 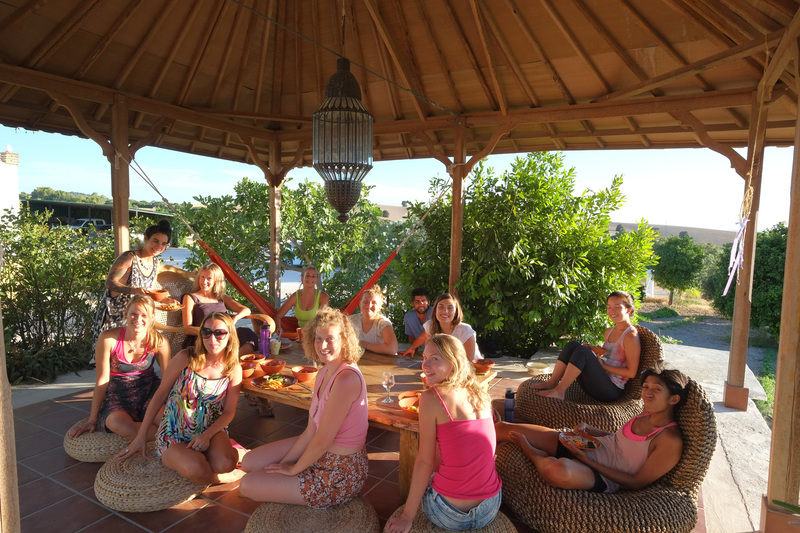 All participants will work with Jacob for four months and end up with a PDC (Permaculture Design Course Certificate). 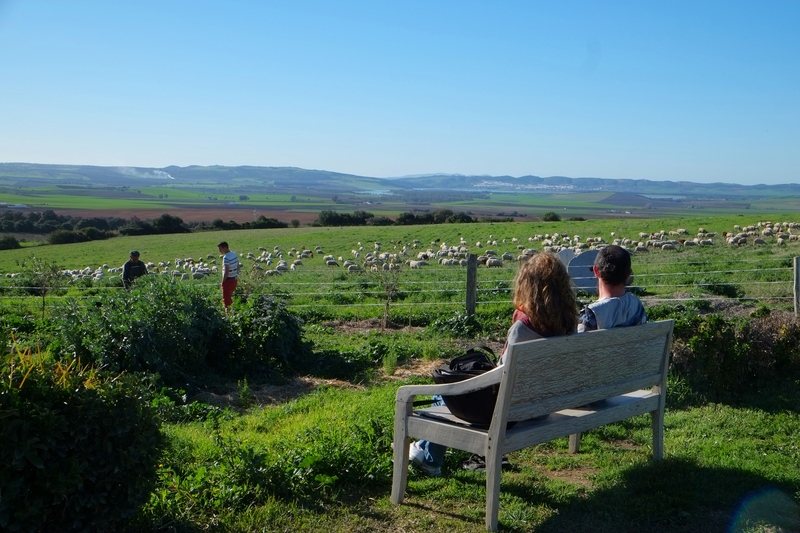 Jon, our communications Manager, and Jacob, have been liasing with a private school in Sotogrande to start working on permaculture projects with them. The Sotogrande school is starting a bee project with Danyadara. We look forward to having our own honey soon! We have received a few grants for the project recently and our food forest is thriving thanks to the perfect tree-growing weather of a wet spring. In December Jacob and team planted 5000 trees in the 7 hectare field, which is part of our property, and the Danyadara tree forest is well and truly taking root. I am so happy with the way Danyadara is unfolding and so grateful to Jacob and Jon for their tireless work to make it succeed and also Andrea, who has been an important part of the team for the last six months, helping us apply for grants, and sprucing up our copy on the website, as well as writing articles about the project. Rock on Danyadara! Right now I am heading to Salamanca for an 8 day intensive Spanish course. Really looking forward to taking a leap in my fluency. June 9-16 we will be holding a boutique FLY Yoga Festival at Suryalila and I look forward to seeing many old friends there. Join us at this love-fest for some wonderful all day Yoga classes and some truly wonderful music! Hopefully see you there! Life has been a little different at Suryalila since the purchase. More and more I relax into my wonderful life, and I constantly think and dream of all the things I want to do here, to add value to the experience for the guests and for everyone living there. There are a few minor upgrades we have undertaken lately and some more upgrades planned for this year. We added a bathroom in Ananda upstairs, and, later in the year, after our eco-building team has built several new massage rooms, we will add two double deluxe bedrooms downstairs in Ananda. We are also in the process of building three eco-casas for the camping area. At some point I really would love to install a hot tub in the olive grove and can see that happening within the next year. In many ways the permaculture project, now called Danyadara, which means Blessed Earth, is my new baby. It gives me great joy to walk the grounds and see them transforming and growing and becoming more beautiful. I love every new baby tree, as if it were my own offspring. We have planted hundreds of trees already and there are many more to come. It’s a big labour of Love. The soil is being regenerated and in time it will be more spongelike to catch water and much more nutritious to feed trees and plants. Watch this video to find out more. The idea behind the project is to demonstrate how it is possible to stop desertification in the south of Spain through proper farming methods. We hope to become an oasis in the area and to educate other farmers in permaculture methods. Our small part in saving the planet. We are about to launch a crowd funding project to help us fund water harvesting and tree planting. 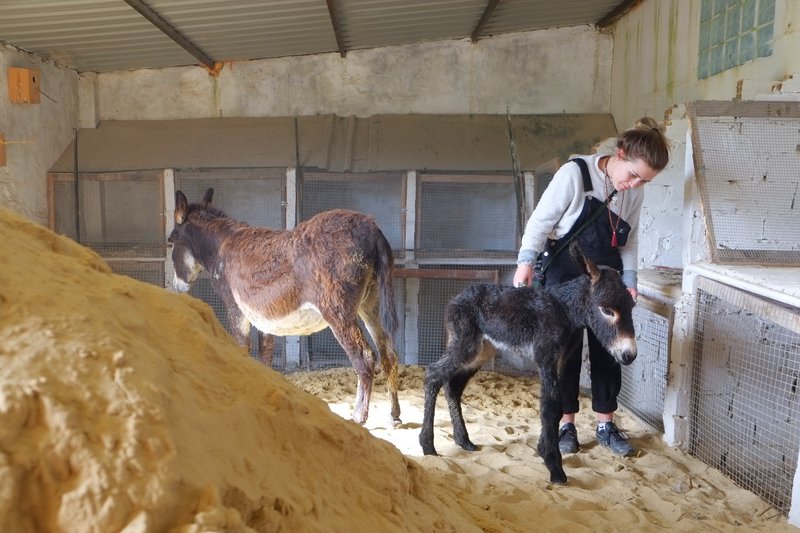 We have a brand new baby donkey named Rosie, born to Daisy. She is so gorgeous, soft and fluffy and sweet. Hard to believe that Daisy could fit her inside! Rosie looks exactly like her mum. A few weeks later Ajna a new baby alpaca joined us. He has a white smudge on his third eye-hence the name. (Ajna is the third eye chakra!) Another baby alpaca is due soon. Manuel also brought us a new pygmy goat we named Nutmeg. So slowly our little farm of lovely animals is expanding. It is such a joy to share this land with so many beautiful creatures. I am so overjoyed with this creation and feel so blessed, grateful and fortunate to be the steward of Suryalila, which is nothing less than heaven on Earth. In my last blog post I mentioned that I would be going to India for a month long retreat with James Swartz, who I now consider my teacher. James Swartz teaches Vedanta, which is one of the six schools of thought under the umbrella of Hinduism. It is a vast body of “revealed” knowledge. I thoroughly loved the retreat in Tiruvannamalai. Tiru(for short) is a little like a spiritual Las Vegas these days, especially in December and January when the weather is not too tropical. There is a different satsang on every street corner. My friends who live in Tiru gave me the low-down on who is who. It’s a jungle out there if you haven’t already developed the ability to extract the pearls from the swine! Fortunately, I knew where I was going! An amazing sacred mountain, called Arunachala, looms over the bustling little town, and she inspires great awe. Many worshippers of Shiva circumambulate the mountain, doing pradakshina. The walk is 14 kilometres and all around the base of the mountain are shrines to different gods. Shiva is lord here though, since he apparently appeared as a lingam of light on top of the mountain to win an argument with Vishnu, about who was the greatest. A massive imposing temple is situated in the centre of town, and we got to do a fascinating tour of it one evening. Ramana Maharshi, one of the greatest Indian saints who ever graced this planet, has his ashram there. Ramana passed away in the 1950’s but the ashram is still thriving and saturated with his profoundly peaceful energy. It’s a great place to meditate. It was a very enriching time for me, connecting with some old spiritual friends, and studying Vedanta with James. I have long loved Eastern Philosophy. As some of you know, it has been my life’s passion. Vedanta is my new love. It is everything anyone needs to know and more: a considerable body of knowledge, that when you are ripe, you can apply to dispel your ignorance. I have long been ripe and the timing was perfect. A few years ago I wouldn’t have been open to a new teacher. However, as in all good spiritual stories, the teacher found me, through my good friend Harry. It took me a while to answer the call, but I am so glad I did! Vedanta came at the right time and my life feels blessed. Well my friends, the big day I have been dreaming of finally arrived! Yahoo!!!! On December 1st I finally signed the papers to purchase Suryalila Retreat Centre, at the Notary in Arcos de La Frontera. A goal I have had my sights set on since beginning this business. Thanks to existence (or Isvara) for allowing this dream to come true. And thank you so much to all my friends along the way that have made this possible in one way or other, with special thanks to Harry, our retreat manager, who has been a massive support from the beginning. I am sure many of our friends and customers were unaware that we didn’t fully own the property already. We have had a lease with an option to buy up until now. Just over 5 years have passed and everything was on track for the purchase. And so, after copious amounts of blood, sweat and tears, it has really come to pass. My first feeling was of a heavy weight being lifted off my shoulders, a huge relief and a big step forwards. Until the moment I signed on the dotted line, I was a little anxious that something would come in the way last minute. We only knew the night before that it was definitely going forward. Over the last two days a soft and deep contentment has been arising within me. It was like climbing a mountain, arriving at the top to a very misty view, and now slowly that mist is clearing and the beautiful countryside around me is being slowly revealed in intricate detail. WOW! 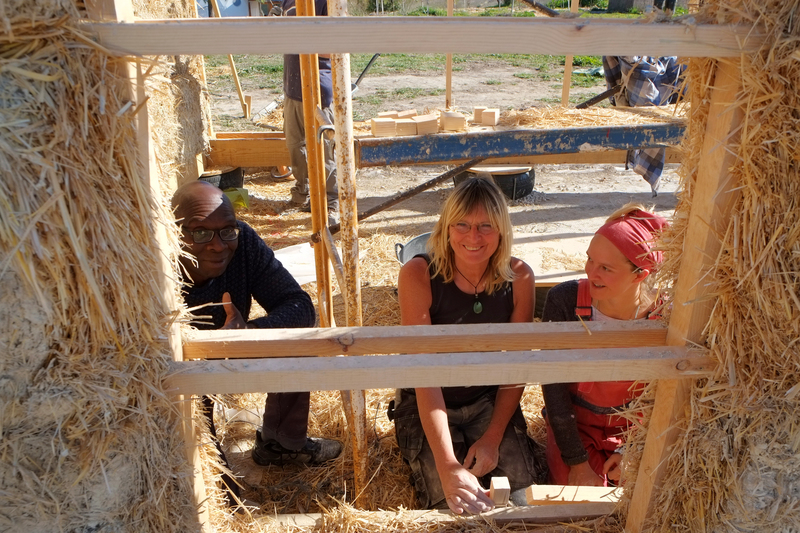 Right now, Doug Crouch is here preparing for his first Advanced Permaculture course and our Permaculture project is in full swing. We are about to plant hundreds of trees on the ridge and surrounding the garden in the next month, as part of our reforesting project. We took the first steps towards our food forest, by key lining the old wheat field. We have created a separate non-profit business to support the permaculture project and will be doing a lot of fund raising for trees in the near future. If you are interested in offsetting your carbon footprint let me know :)) We will be setting up a donation button on our website. Doug and Jacob, our awesome permaculture managers. The sauna is going through a big repair job by Rob, who built it. It had some issues, including leaking, so it really needed this renovation. Looking forward to having it ready in a few weeks, especially since winter is definitely here right now. My Escape Christmas Retreat is fully booked, so looking forward to using the sauna/steam room during that. (Keep your fingers crossed). As is our tradition now, I will be the Christmas Day chef for the tofu turkey, mushroom gravy and chestnut stuffing!!!!! Amazingly talented Pakistani musician Saeed is gonna play on Christmas Day for us, which I am really excited about; traditional Indian music during restorative Yoga and a fusion concert in the evening, so we can dance off our Christmas dinner. The olive harvest was just completed, our delicious golden green olive oil for the next year is ready. We are having our green eating olives processed in Prado by a local, as so far we haven’t made them taste as good as the local experts do. But we have a secret production of black Greek olives hanging in muslin bags in the parking area; a practice our friend Tim started last year. Hoping we will soon be enjoying some wrinkled salty greek babies over Christmas! In the last few weeks we have been blessed with some much needed rain and the landscape is becoming more green and lush. Our wells are finally being replenished. One of our main goals now is to resolve our water shortage issue. We have been working on that in various ways and also using more grey water. But an overall bigger solution is needed. Stay posted for that! I have a big trip planned for January. I met James Swartz a few months ago, at a weekend retreat in Belgium. Harry introduced me to James, who is a Vedanta teacher who he has been into for a couple of years. The teachings really resonated with me and I am thrilled to go do a retreat in Tiru in India with James. Harry and I are going to be there together, which will be the first time we have left Suryalila at the same time. Some of our other dear friends will be in Tiru too-soooo good! Fortunately, we have a great team here who will manage everything whilst we are away. I was supposed to be leading a Yoga Teacher’s Training but then I felt so called to do this retreat in India that I decided to have some other teachers lead the training for me. Paula Mitten and Alicia Waters, both eminently capable, will do an amazing job and we are all very happy with the arrangement. I am overjoyed to have some precious time to nourish my own soul and now I can be at peace whilst I am away, knowing the purchase has gone through. This week we are doing a Non-Violent Communication course with 8 of the staff and last week we had four coaches come here to do some work with us also. I find this kind of input very helpful for maintaining a healthy organisation. So celebration time. Have a glass of cyber champagne with me! Even though, these are challenging times in the world, I wish you all a peaceful and joyful time with family and friends over the next month! Yet again, many moons have passed since my last blog post and much water has flowed down the Ganges. But here we are enjoying the first week of August. Projects we have completed at Suryalila, since my last post, include the completion of our new Moroccan Pagoda, which is a gorgeous nest of embroidered pillows, providing a front row seat to enjoy the glory of the magnificent sunset. The new Moon Shala’s path and surroundings have been cleaned up and finished. We still need to do a little more landscaping, but not till after the heat of summer subsides. We have also added three more hot showers to our growing glamping area. These showers also supply water to a bunch of banana trees and flowering shrubs next to them, thanks to our Permaculture team. A number of new murals grace our walls, including a beautiful Moroccan doorway between the kitchen and the dining room, this was a joint project of Tony (local artist) and Thea (designer of the Dome Art). Many of the houses and rooms are now graced with Moorish style murals. The Shakti boutique also got an entryway facelift. The main project we have been working on is the initiation of a property-wide Permaculture project, which, in time, will lead to regeneration of our soil, preservation of water, a food forest, more landscaping, serious composting and an overall enhancement of the natural beauty of our property. We have taken back the seven hectare wheat field from our neighbours, who were farming it, and will begin to regenerate the soil there, eventually turning it into a food forest. We will be using something called key-line ploughing and already had a consultation with Jesus (common name in Spain) who is an agricultural engineer, who has started this process. The Permaculture Project is being led by Doug Crouch, who is an American expert in permaculture design. He is designing the project and is mentoring our new permaculture project manager Jacob, and a small team of volunteer farmers. 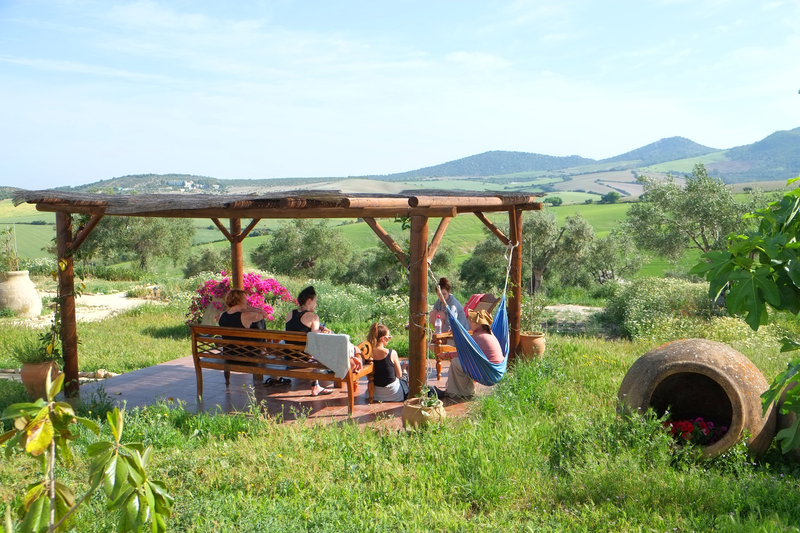 Doug is also going to be running Permaculture Design Courses at Suryalila, one Advanced Course in December and a foundational Permaculture Design Course in Feb/March 2017. I am so excited to be working with him. Over time it will be lovely to see our land flourish, and also to inspire others as to what is possible. This is obviously a long-term ongoing project. It will take a few years to begin to see serious results. Since I last wrote we have many more animals. Coco and Habibi, two of our alpacas had babies, Ziggy and Joey, so now we have five enchanting alpacas. We also bought two more donkeys, one mare called Daisy and her young son, Romeo. Daisy is pregnant but it will take another 6 months before she gives birth. We also have a sweet baby goat called Canela. And one more toy poodle puppy, to be a friend for sweet Rishi. Our new apricot toy poodle is called Kumari and she is now everyone’s darling. There is no shortage of babysitters. Rishi thinks she’s a live toy, and they already are inseparable. So our zoo continues to expand and delight. Our Amrita Juice Bar is one of my favourite new additions. As well as many great juices and smoothies, we now serve iced bullet- proof coffee, golden milk(made with turmeric and other spices) and Sangria. Bookings at Suryalila are looking very good since many months now. 2017 has been pretty much fully booked out for a while, aside from a few winter weeks. 2018 is now booking full steam ahead. Tiffany Cruikshank-super big yoga superstar, has booked three weeks for next year and has asked that to be a standard booking every year. Donna Farhi, another very well-known Yoga teacher, has just booked for 2018. 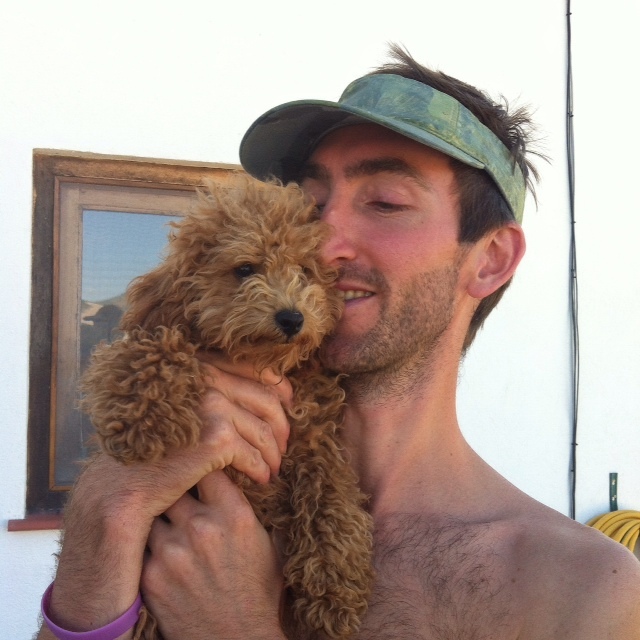 Bryan Kest, yet another Yoga giant, tried to book for next year and we had to turn him down, due to no room. We are currently booking him in 2019. In terms of bookings, I can happily say, we have made it. Hallejujah! For all of this, I am eternally grateful. Our vision and hard work is bearing fruit. Thank you so much to my lovely team here at Suryalila, without whom it would not have been possible. I am very happy to have my lovely niece Mary living here right now and running the juice bar. I am also happy to have my dear friend Lisa working here as Harry’s assistant, replacing Somesh who is away for a few months. It’s really nourishing to have more family around. This year, and next year my travels will be limited as I plan to stay home a lot more to work on sustaining and perfecting all systems here. My yoga career continues to blossom, I am now being featured on an online Yoga Site: www.movementformodernlife.com. I have also become a regularly featured writer for Om Yoga Magazine. This October, I plan to study for a weekend with James Swartz, my friend Harry’s Vedanta teacher. He is going to be in Ghent in Belgium and I am looking forward to a little spiritual infusion. Right now seems a good time to review 2014 and commit to paper what I would like to accomplish in 2015. 2014 was a big year for me in so many ways. If you have been reading my blog, the main big event was my taking over the Directorship of Suryalila last April. That’s been a great ride, as I have to temper my enthusiasm with conservatism and good judgment. Not always easy, but I am managing to do that, I think. Creating a New Website was also a labor of love for me and several other Suryalilians. I absolutely love the new website and think it now accurately represents and presents Suryalila. It’s an achievement I feel very happy about. I am very pleased with the way Suryalila is growing, becoming more beautiful and attracting some amazing rock-star Yoga Teachers like Tiffany Cruikshank, Esther Ekhart and Emma Henry. Bring on the rock-stars! The magnificent Om Dome was built for these big groups. 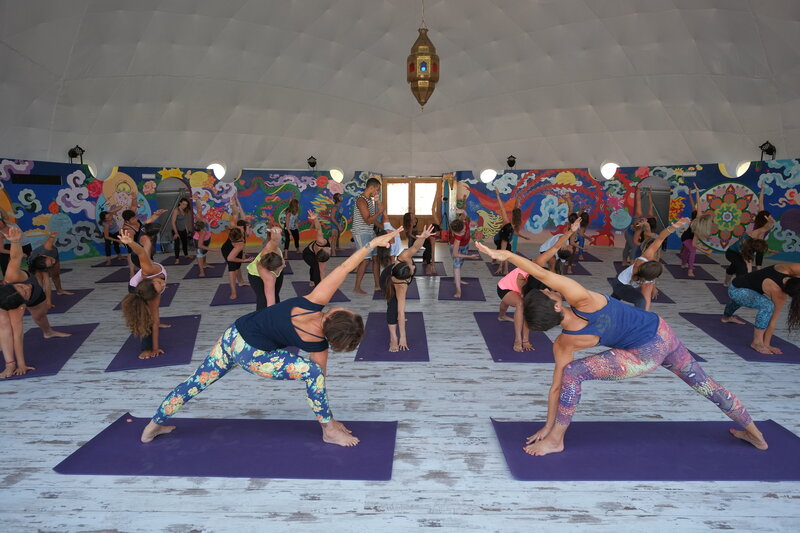 Of course, we also welcome small groups, with open arms, but the Om Dome begs to be overflowing with Yoga students, to fulfill its true purpose. Though already in use, the Dome is still a work in process. I am pulling out all stops to make it perfect. Thea, my current assistant is an exceptionally talented artist and she has directed a team of artists who have generously contributed to our huge mural. She has also done a substantial amount of the artwork herself, and is still working on it as I write. Hundreds of hours of painting have already gone into it. It’s a veritable modern day Sistene chapel! I have now decided to lay down a faux wooden floor, as the cement floor doesn’t visually work, due to various mistakes we made along the way, like staining it too soon etc. An expensive mistake, but now I think the end result with the wooden floor will be stellar. I have found the perfect faux wood that looks and feels like distressed planks of old wood that has been painted white. It is better than real wood because it will not insulate as much, which we need with the under-floor heating. We will be laying that down in February. Stay posted! Finally, the golden cupola, which is made out of fiberglass, arrived and is sitting in our parking lot. The icing on the cake will be the securing of the cupola on top and painting the Buddha eyes on the outside. I am hoping to do that also this springtime. On New Years Eve we had a great party with a group of Yogis and Yoginis, hosted by DJ Warrior One, who spun some great sounds for us to dance too. The Dome makes a fantastic disco, as I had already discovered on the opening night. We can make our lighting system go disco and the sound system is really awesome. I would love to start ecstatic dance nights with live music in the Springtime, hopefully with Somesh and Saeed and Ali playing live. I realized how much I miss having a good dance, so that is one of my goals for 2015: A Suryalila live band playing awesome east-west fusion grooves! Speaking of which, the next big event in the Om Dome is on February 13th and will be my sixtieth birthday bash. If you feel inspired to head on over that weekend to celebrate with me, just say the word. The more the merrier! I used to think sixty sounded really old, but now I definitely think it’s only middle-aged. Eighty is the new sixty! Well, I haven’t slowed down yet and I can still win the handstand contest, most of the time. So here’s to rocking out my sixties!!!! If anyone reading this would like to attend let me know and similarly if you’d like to challenge me in a handstand contest step right up! On another note, upgrades at Suryalila are ongoing. In December and early January we have added some more bathrooms: one in Govinda kitchen, as Govinda really needed another bathroom, and also we have installed three toilets to serve the dining room and Ganesha Yoga Shala. Not super exciting, but necessary. We have also moved the dish washing area and bought an actual industrial dishwasher, which should make all our volunteers happy. We are turning the old wash-up room into a beauty salon for pedicures, manicures and facials etc. Not a popular idea with the men on the team but I think it will be a winning addition. Another more exciting upgrade is the juice bar in the white courtyard, which we plan to open sometime in the Spring-time. As I write, the dining room is in the process of being painted different shades of gold and orange and new light fixtures are being installed to make it warmer. I cannot wait to see it. There are a few other upcoming plans up my sleeve. There are many times in 2015 when we will have two groups at Suryalila. This is great, with one small downside, which is the staff and independent guests need a practice space and we only have two halls. This has led us to realizing that we probably need a third small Yoga Hall! Harry and I have been considering something round, sustainable and rustic. We are trying to come up with something ecological and economical. 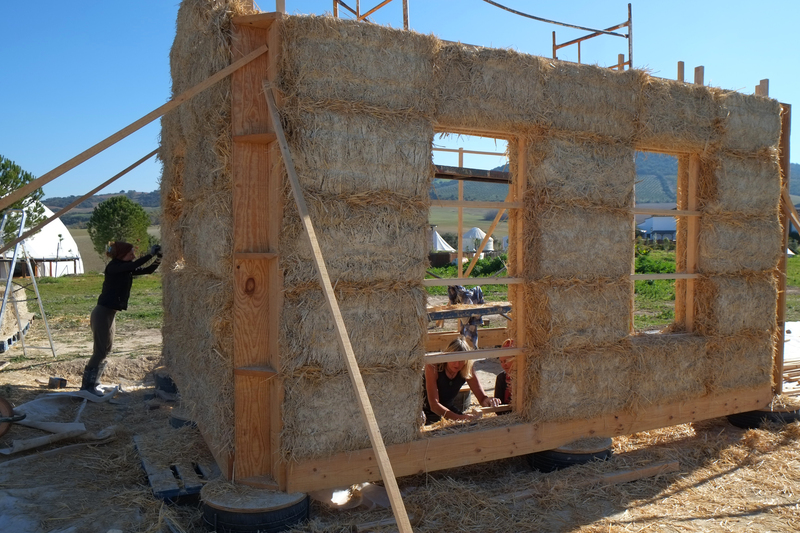 Maybe a straw bale round-house! Any suggestions and/or help building it are welcome! We could also use this new space for meditation and as a second massage room. If at all possible before the year is out I would like to install either a sauna or a hot tub or both. This seems ambitious but is quite high on my list. Unfortunately low on Harry’s list, so any ideas for accomplishing this inexpensively would be appreciated too. One of my personal goals for 2015 is to really take a leap with my Spanish, which explains why I am currently in beautiful Playa Samara on the Nacoya Peninsula of Costa Rica. They have a really good Spanish school, right on the beach. So I am doing a week’s intensive here, before my last YTT in Costa Rica. I will also be attending the Spanish intensives happening at Suryalila this year. Quiero hacerlo con migo? We have had some staff changes at Suryalila. Jessi has left and gone back to the UK to be closer to her family, and Alice has arrived in her place. Thea is moving to Mexico in March, to be with her boyfriend Mau, and Lidiya, who was our marketing intern will be my new PA. So all change! Hopefully it will all be positive for everyone! 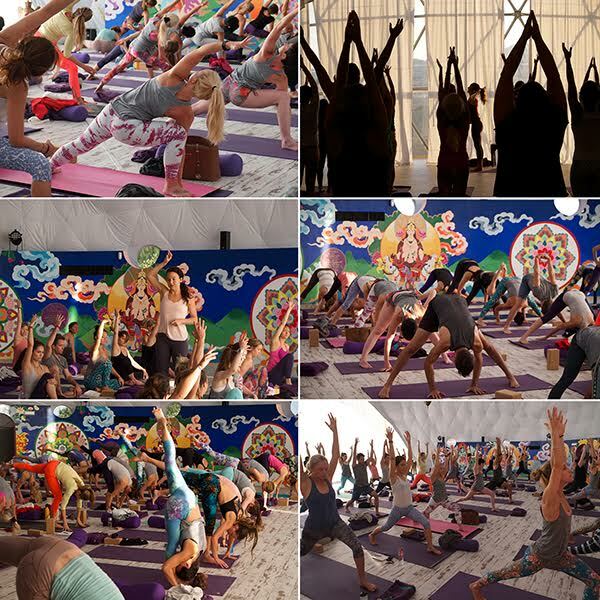 On 3rd April we will be hosting our first serious Yoga Festival for 3 days with the EXHALE festival migrating from the UK. That is very exciting…more soon on that. Save the date and plan on joining us. I’m dreaming a lot about a super successful year on all levels. To all of you out there reading this, I wish you all a wonderful 2015 also and may all of your dreams be realized! Never forget that you are a phenomenal creator! Karina Cordoba on A dream come true…. linda fry on A dream come true…. Leslie Anne Franklin on A dream come true….